Cruising has become one of the most popular forms of holiday travel in the 21st century, offering a unique sense of luxury, sophistication and entertainment on the seas. In many ways, it has defied the odds to get to where it is today – rivalling much speedier air-based methods of transport. 300 years ago, however, the only way in which to travel the world was across the seas. The 18th century was a time of worldwide exploration, with ships from nations throughout Europe going in search of new territories, gold and exotic products including tea and fragrant spices. Most of this was conducted using clipper ships, which gracefully crossed the seas but, sadly, were not regarded for their efficiency. This brought about the rise of the steamship, which was developed throughout the 19th century and soon caught the appeal of bystanders. The emphasis quickly began to switch from mail and cargo to passengers and, this week, we take a closer look at how cruising has developed into the luxury product we know today. 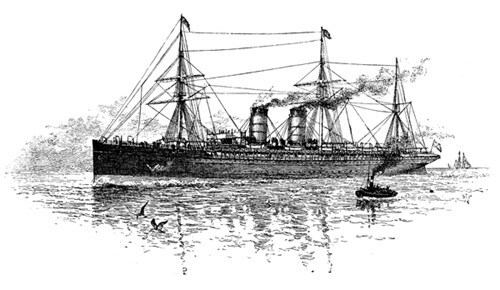 In 1844, P&O Cruises, then known as the Peninsular Steam Navigation Company, began operating the first ‘leisure cruises’, with passengers able to board smaller liners on journeys to the Mediterranean. This would later be expanded to much of the British Empire, including calls to India, Australia and New Zealand. Throughout the 1850’s and 1860’s, passengers were able to board selected transatlantic mail services, with new luxuries such as electric lights and spacious deck areas introduced. Cows were carried aboard Cunard’s Britannia to supply passengers with fresh milk. The word “posh” is thought to have been coined for the first time, referring to the acronym of “port out, starboard home”. This is where the most desired cabins were generally positioned. Cunard began the tradition of formally dressing up for dinner on board Mauretania and Lusitania, along with dancing and playing sports on board. The line coined the phrase “Getting there is half the fun”. Rival firm, White Star Line, places emphasis on comfort on board its ships. The great depression that followed WW1 led to the two lines merging together to form Cunard White Star. The years between 1920 and 1940 were considered the most glamorous for passengers seeking to cross the Atlantic. The ships catered to the rich and famous, who were able to enjoy the luxurious on board surroundings. Many cruise vessels were converted into troop carriers for WWII and transatlantic sailings came to an abrupt halt. Following WWII, air travel became big business and offered a much quicker way to travel. Many lines subsequently went out of business due to their inability to compete with the convenience and speed. Emphasis began to be placed on the entertainment aspect of travelling on board a cruise ship throughout the 1960’s. Lines attempted to appeal to passengers who would never have had the opportunity to sail on board transatlantic vessels between 1920 and 1940. 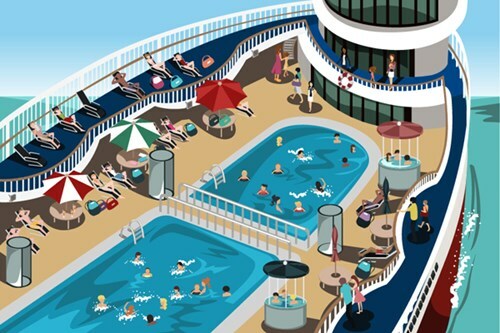 Large public lounges, formal balls rooms, swimming pools and on board ceremonies began to make an appearance on board vessels. The entertainment aspect of cruising was showcased to the world via the popular US TV series, ‘The Love Boat’. Debuting in 1977, the show was filmed on board Princess Cruises’ Sun Princess and introduced the concept of holiday cruising to the mass market. It was deemed a huge success both as a sitcom and as an advert for the cruising industry. Many large lines and cruising corporations have cited their success to the Love Boat. Many lines such as Norwegian Cruise Lines, Holland America and Fred. 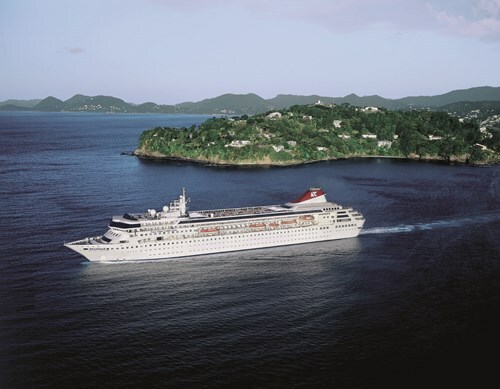 Olsen Cruise Lines built an array of new ships throughout the 1990’s to accommodate for a new market of cruise passengers. New lines such as Celebrity Cruises (1989), Disney Cruise Line (1995), Regent Seven Seas Cruises (1990), Silversea (1994) and many more were founded. Large corporations such as Carnival Corporation and Royal Caribbean begin to emerge. Cunard is bought by Carnival Corporation in 1998. P&O Cruises is acquired by Carnival Corporation in 2003. Cunard builds three new vessels which are known as the ‘Three Queens’. 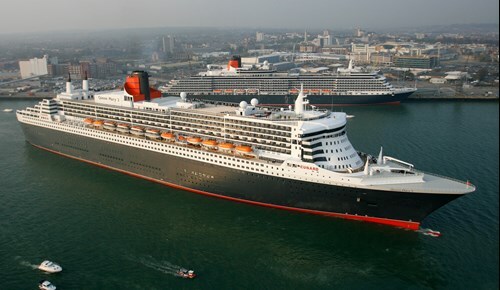 Queen Mary 2 (2004), Queen Victoria (2007) and Queen Elizabeth (2010) all remain in service to this day. Many lines including Royal Caribbean, Celebrity Cruises, Princess Cruises and Cunard commence construction of some of the largest vessels ever built – each offering never-before-seen amenities and a heightened sense of luxury to a higher number of passengers. Cruise lines continue to build contemporary and modern vessels, with an ever-increasing range of amenities that includes exclusive lounges, spas, restaurants, ice rinks, theatres, bumper cars, water slides and much more. Statistics from CLIA (Cruise Lines International Association) indicate year-on-year growth for the cruise industry. The UK is regarded as one of the most popular areas in the world for embarking on a cruise. 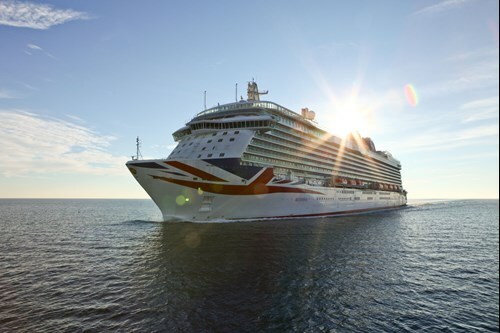 P&O Cruises launches Britannia in 2015 – the largest vessel to ever be built specifically for a British market. Richard Branson confirms plans to introduce a new cruise line, with Virgin Voyages set to launch their first vessel in 2020. It is also worth noting that, in more recent years, cruising has become more accessible to holiday-makers around the UK. New terminals have opened up in locations including Hull, Cardiff, Bristol, Newport and many more towns and cities. You can travel to almost any destination on earth via a cruise from the UK while also enjoying the elegance and comfort from on board your ship. To book your dream cruise from the UK, contact us via the freephone number above or complete the online enquiry form.